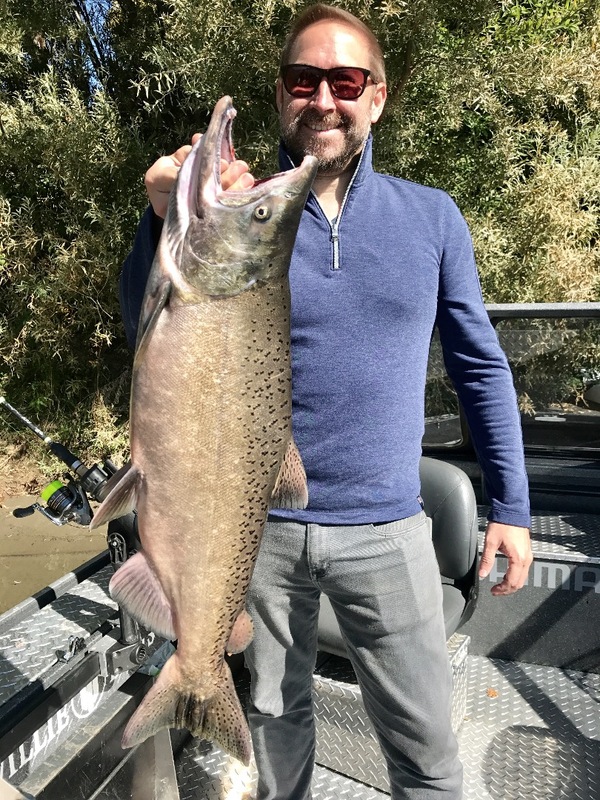 Another good looking Sac River King salmon in the boat! Photo Credit: Capt. 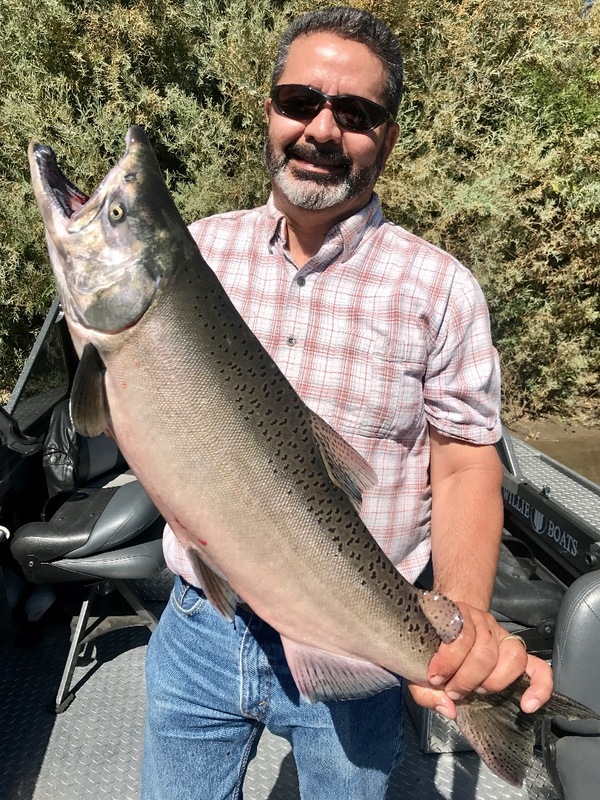 Jeff Goodwin..
Today we fished the Sacramento River for King salmon. My clients only had a few hours to fish and we didnt get on the water until 10:00. We braved the north winds and drifted one hole hoping for a few chances at a salmon for them to take home. 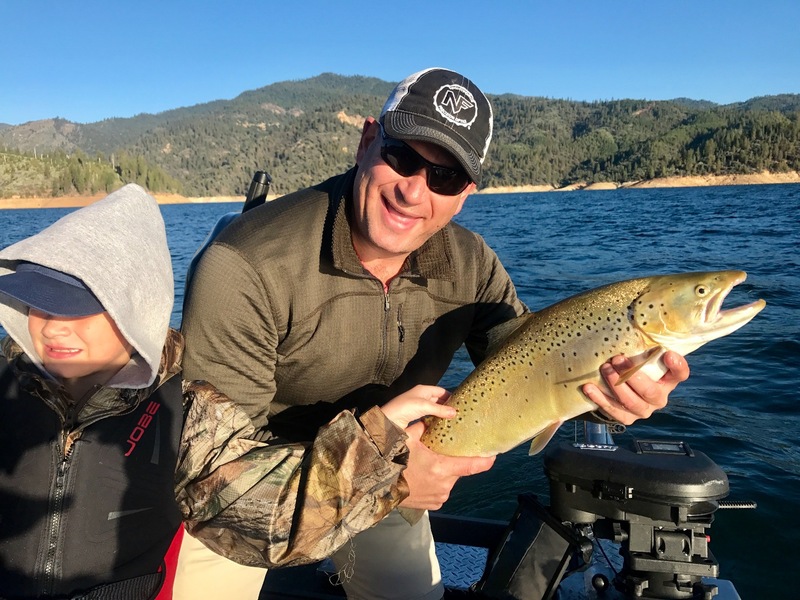 On our 3rd pass we hooked up on a double, but only landed one, a nice 12 lb King. Those were our only two chances before they had to get back to the launch. Over all, the salmon fishing remains good and if we can get the wind to calm down, time on the water will be much more enjoyable.